Between the lecture and workshop, we’ll provide a light, catered lunch available at a modest contribution of $10. Lunch will be light as many of you will want to join us to take Mark out for dinner at a local restaurant after the workshop. You are also welcome to bring your own lunch, if you prefer. Sign up for lunch and or make your reservation for dinner below. Select Event or Bundle, Member? Please notify us at info@ncgrsacramento.org if you will be unable to attend. The email stamp will be used to determine the time of notification. If you are unable to notify us by email, please call (916) 276-1858. 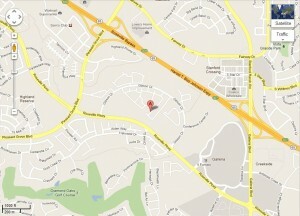 Because The Reserves at the Galleria is a gated community, we do not publish their gate code publicly. 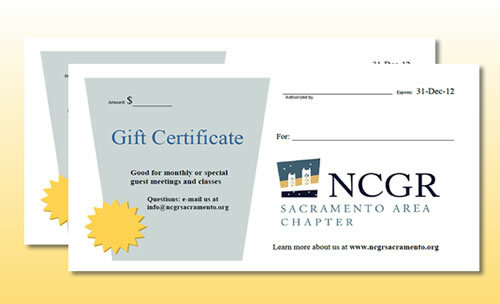 Please email us for that information prior to coming to the meeting: info@ncgrsacramento.org. There are only a few guest parking spots in the complex, but there are plenty of parking spaces right across the street. Here are pictures and instructions. Directions and more information below. NOTE: We are not affiliated with the Reserves condominium complex, for community related questions please contact The Reserves at the Galleria directly. 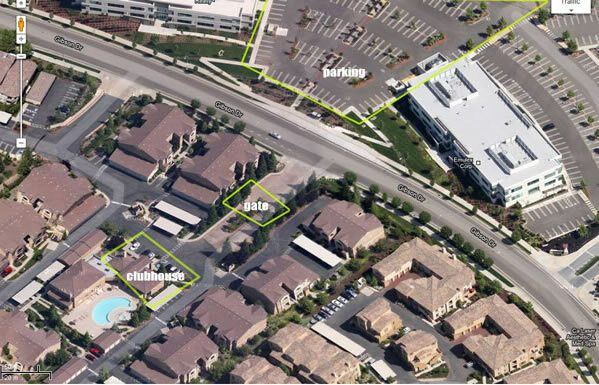 Overhead view showing clubhouse, gate and parking. 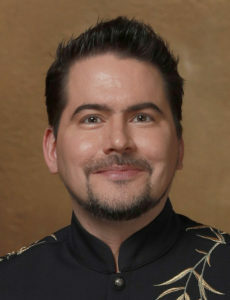 This entry was posted	on Friday, March 22nd, 2019 at 4:22 pm	and is filed under . You can follow any responses to this entry through the RSS 2.0 feed. Both comments and pings are currently closed.